Very rare is it to meet a China expat in the architecture and design field who is as an astute observer of development trends as Austin Williams. Williams is a British architect and educator who came to China six years ago at the behest of the Xi’an Jiaotong-Liverpool University (XJTLU) in Suzhou to set up a new Architecture Department there. Prior to making the move over to China, Williams was an editor of the Architects’ Journal and authored a series of books for the Royal Institute of British Architects (RIBA). He is currently working a new book, “China’s Urban Revolution: Understanding Chinese Eco-Cities“, which is due out this October. I had the pleasure of interviewing Williams recently about his experience in China and his observations of the country’s development. We also spoke a bit about his new book and how he is generally bullish about China’s ability to quickly clean up the environmental mess that has been generated through rapid development. Adam Mayer (AM): Since you arrived in China, how has the country changed with regards to its pattern of development and approach to architecture? What trends do you see emerging? 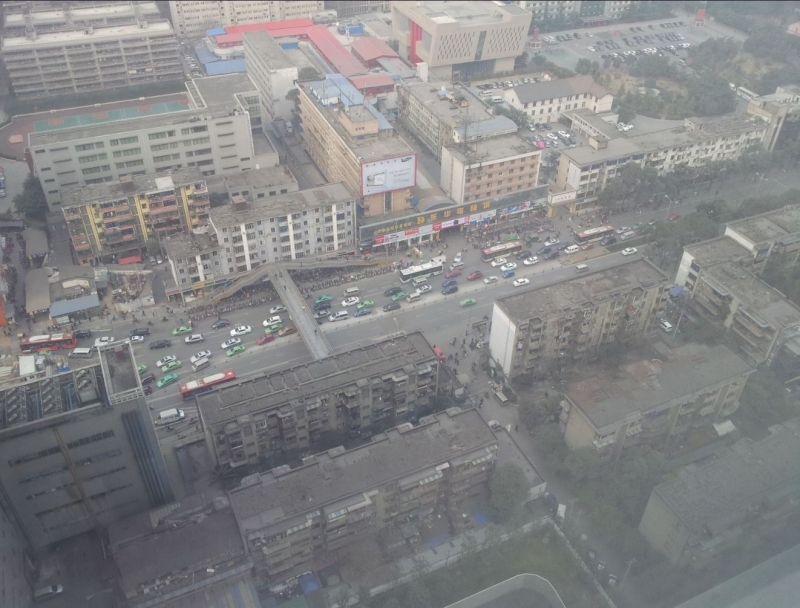 Austin Williams (AW): On the simplest level, when I arrived in Suzhou 6 years ago, the Suzhou Industrial Park had probably about 5 cars an hour on the main street. Now the main street is jam-packed and feels like a back street given that a gigantic new network of roads and huge areas of accommodation have been completed. I came to China because I was excited at the prospect of avoiding the relentless mantra of sustainability and carbon emissions in the West. Not because I am willfully anti-environmental but because it had become an orthodoxy unresponsive to criticism. I found that any questions of the direction of environmental debate, however mild, could be shouted down by reference to climate change or global warming. It had become an orthodoxy and regularly I was told that “the debate was over” which didn’t chime with my perception of what academic or even professional inquiry should be about. So it was ironic that I thought China might be more receptive to creative open-debate without prefixes. And so it proved. While there are other topics that are off the table in China – like Taiwan or Tibet – the central issue of “development” was still seen as a positive concept and devoid of a “sustainable” prefix. Similarly, words like “progress”, “humanity”, “improvements”, “growth”, etc were spoken about without Western cynical “air-quotes”. Architecture per se, has become more appreciated because over the last 10 years or so, the idea of “value-added” has come to China. In the last 3-4 years there has been a growth in design services: graphics, photography, branding, advertising, interior design, landscape consultancies, etc. Suddenly “design” has value and a merit. Of course much of this has grown out of the civilizational push by the Central Government to encourage urbanity (better standards of behavior within cities). Good architecture and a decent environment is seen as “civilizing”. Unsurprisingly there is a patrician element to this kind of dictate, but no worse in some ways than the moral hectoring of sustainability advocates in the west. AM: As Western expats living in China and working in the architecture and planning industry, we have both seen first-hand the realities on the ground not reported by mainstream Western media. What do you think is the biggest misconception about China’s urban development as commonly reported by Western media? The myth of rapid construction in China is often premised on the fact that architects are pressurized into churning out projects, and this is compounded by the 24 hour, 7-days a week nature of the construction industry. For architects desperate for work in a highly competitive market, masterplans are often required in 3 days, project renderings within a week, and full plans within 10 days. In China, Design Institutes (the equivalent of local authority architects departments) the architects are often paid by the square meter of the project drawn. Secondly, we all know that China is building 20 cities a year for 20 years. Except it isn’t. It is building maybe 5 new cities (clearly still a huge achievement that surpasses the ambitions of the West) but is upgrading and re-sizing existing cities and towns with maybe new business districts alongside, maybe doubling the size of the original city, for example. But new cities they aren’t. There is also a definitional thing – that I explain in my book – whereby a few years ago, everyone was talking about the megacity of Chongqing in southwest China, which was reputed to have a population of more than 30 million. Actually, “only” six million people live in Chongqing city, while the remaining 24 million live in the other 30,000 square miles of Chongqing municipality (in the fields and farms and towns in an area the size of Ireland). 20 cities built every year is remarkable, but Chinese cities are sometimes easier to construct than it may first appear. In some cases, a change of designation is all that is need to convert a town into a significant urban area. If the state wishes to develop land owned by agricultural workers, it is common for it simply to change the designation of the farmers to “urban” so that they lose property rights, get paid off and gain city status. Ten years ago, a full one-fifth of the urban population was the result of this kind of administrative reclassification. China’s urban centers are messy, crowded, noisy, congested, and a little polluted, yes. But they are also incredibly lively and fascinating. The Western-style “livability indices” that regularly cite bourgeois, Vancouver-esque tree-lined streets as the ideal places to live, could do with exploring the exciting liveliness and human-activity strewn streets of crazy Chengdu or boisterous Urumqi. I could go on but the final myth here is that China means “urban” and urban means “Shanghai”. In fact China still has 350 million rural peasants (although not all dirt-poor). AM: As China’s building boom inevitably slows down, what does the future look like for the architecture industry? Will there be less demand for foreign firms in the country? Are Chinese architects now skilled enough to where they no longer need the expertise of global architecture firms? AW: As above, China is investing in quality (albeit, it still often doesn’t reach it). It is the classic Kuznets Curve of development reaching a point where social improvements can be implemented to filter down to the rest of society. There will be a large amount of terrible housing demolished – even that built a mere decade or so ago – to make way for better quality housing. While some people consider this to be unsustainable China is merely reliving (at a faster pace) the same situation endured in end-of-20th century Chicago, or post-WWII London. China has to urbanize fast, it therefore has to build fast. Indeed 23 million homes have been constructed in just 4 years. But these are typically shoddy, bad designs, bad detailing, low grade materials, etc. precisely because: a) they are constructed by people without the necessary skills and training and b) they have to fulfill an urgent housing need. Those who say that this is irresponsible don’t need to endure the appalling urban housing conditions of many millions of migrants or the poor, who are desperately clamoring for decent housing. Build fast, repent at leisure is a completely understandable maxim. Once the urban, educated population has been settled, China will have the luxury of decent replacement housing. China is also a nationalistic state that wants home-grown talent. It has invested massively in education but needs to send its students abroad to gain experience and much-vaunted “creativity”. This is an elusive quality in China because independent thinking, critical engagement, etc. are anathema to Chinese social stability in essence. Returning architecture students from Yale, Berkeley, the AA, etc. are able to straddle the two systems. They are creative but they also return home with a mission to make money and to make an impact. It will not happen for a while but yes, Western architects will be superseded by fantastically talented Chinese architectural talent. Many Western architects – not all but especially the bad ones, the chancers and the “consultants” – will be surplus to requirements in a few years. But this is not a forerunner to the Boxer Rebellion: I don’t think that expats are going to be drummed out of town anytime soon. There will always be a social need for an exchange of ideas (with provisos on what those ideas are promoting). AM: Your new book “China’s Urban Revolution: Understanding Chinese Eco-cities” (Bloomsbury) challenges the notion that China is going to remain a notorious polluter and environmental pariah. How do you see China turning the corner and becoming a leader in sustainable development? Will China become the new leader in renewable energy technology? AW: First of all, I guess that I challenge the notion that pollution should be a nationally defining characteristic. Air and water pollution are eminently clean-upable as the west has done and as China is doing at a far more impressive rate. China is the biggest provider of solar panels, the largest manufacturer of wind turbines, etc. Without China, very few of the UN’s Millennium Development Goals would have been met but also the transformation to clean-tech has been a global phenomenon. China is leading the world and this is going to transfer (it already is) into an environmental soft-power that is going to be difficult to resist in the West, regardless of (maybe, because of) the authoritarian nature of China’s environmental practices. Surveys by the UK-based International Eco-Cities Initiative in 2009 identified a total of 79 Eco-cities around the world which included six Chinese Eco-cities. By 2011, the global list had increased to 176 and included 25 Chinese Eco-cities. Four years later, in 2015, China made its own list comprising 284 eco-cities out of total of 658 major cities across its own country. In other words, China claims that today 42 percent of all of its cities are Eco-cities. 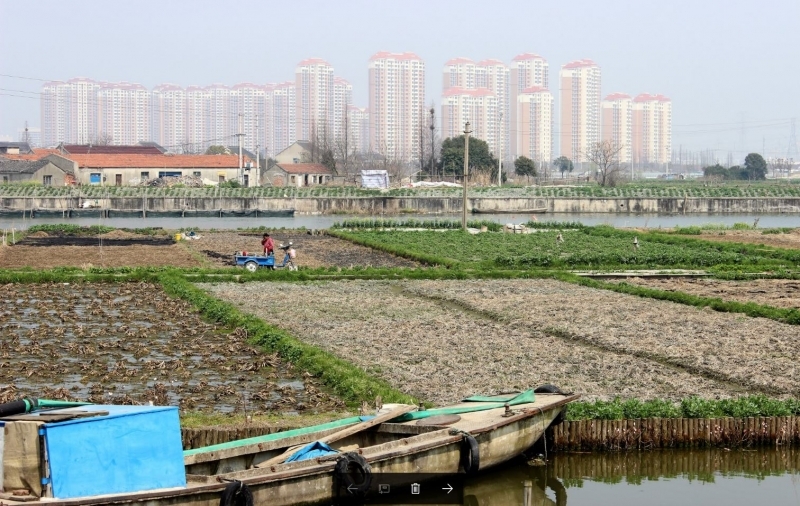 Given that there is no agreed definition of what an Eco-city is, the question remains whether China is making it up to cover up business as usual, or whether China is truly becoming a principled world leader in the ecological discourse. From Communist pariah state to delivering the opening speech at the World Economic Forum in Davos is impressive. From environmental polluter to chastising America for rejecting the Paris Accords, is breathtaking. AM: In a nutshell, what is Chinese urbanism? What did they get right with their new cities? What did they get wrong? Is this a new model that China is now exporting to the rest of the developing world- namely Africa? AW: China doesn’t have to beg anymore but it still borrows and steals ideas for across the world. In some ways this is a good thing – it is urbanism as an act of scholarship, learning from research and case studies. It is terrific act of human will. On the other hand, China needs more discernment. Simply adding the cumulative aspects of great cities and expecting them to form a coherent whole is naïve. Grabbing the boulevards of Paris, the cycle lanes of Amsterdam, the public spaces of Copenhagen, the parks of London, the massing of New York, etc. does not make the ultimately humane or even “good” place when mixed together. China needs more confidence in what it wants and needs. It is getting there. Sadly Chinese urbanism, like most other aspects of life, are secondary to the social demand for stability in China. In most instances – especially for English–speaking expats, this is hardly noticeable. But if China is to construct good, robust, civic squares then there needs to be a “civil society” in existence ready to take advantage. However, independent social organization is frowned upon (to the point of bans) in some situations. So public life is an unrealizable project in many ways. Urban space is therefore a formal reflection of autonomy with the trappings of western democratic space, but without the social base for it to have meaning. It doesn’t mean that the spaces are bad – in many instances they are fascinating – but there is a certain artifice when you drill down. China is learning day-by-day and improving greatly. The export of urbanism to Africa is a humane gesture (albeit premised as a swap for precious resources). But by comparison, 200 years of British, European and American colonial adventurism in Africa led to no change over two centuries. China invested £56bn in Africa’s infrastructure in 2014 alone! There may be other factors but China has constructed large tracts of road and rail, hospitals, schools, and housing in the last decade so that, for example adult literacy has improved more than 50 percent; infant mortality decreased by around 30 percent in most of sub-Saharan Africa. This is not without its problems, but not something to be sniffed at. This is the ultimate realty of Chinese turn towards environmentalism. By so doing it is improving he conditions and quality of life in many cities across China and providing itself with an unassailable moral mandate of environmentalism with which to do it in other parts of the world. Many thanks to Austin Williams for taking the time to answer our questions. If readers have any questions about his new book or anything discussed in the above interview, please feel free to leave a comment to this post below.